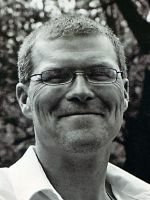 Stephen “Steve” Magierka III of Plainwell, Michigan, died Tuesday, August 7, 2012, in Kalamazoo. Steve was born June 26, 1974 in Kalamazoo to Stephen Jr. and Pamela (Crosby) Magierka. For several years he was employed with Charter Communications and most recently with Gertsen Trucking. In his leisure time he enjoyed gardening, four wheeling and riding his motorcycle. Steve loved being with his children. Surviving are his significant other and mother of Alexzander Folk and Ivie Magierka, Stacie Folk; a son, Stephen Magierka IV; his parents, Stephen Jr. and Pamela Magierka of Kalamazoo; sisters, Stephanie A. Magierka of Otsego and Christina M. (Jason) Hale of Martin; grandparents, Stephen Sr. and Marian Magierka of Gobles; uncles Thomas E. (Arlene) Magierka of Otsego and Ronald (Carla) Crosby of Texas; aunt Cynthia (Judy Lundin) Alexander of Largo, FL; several nieces, nephews and cousins. He was preceded in death by grandparents, Ruth McLain and Robert Crosby; an uncle, James Joseph Magierka, Sr.; and a cousin, James Joseph Magierka, Jr.
Cremation has taken place. Friends may meet with his family from 4 to 6 P.M. Saturday at the Winkel Funeral Home, Otsego. In lieu of flowers contributions in memory of Stephen may be made to Wings of Hope Hospice.